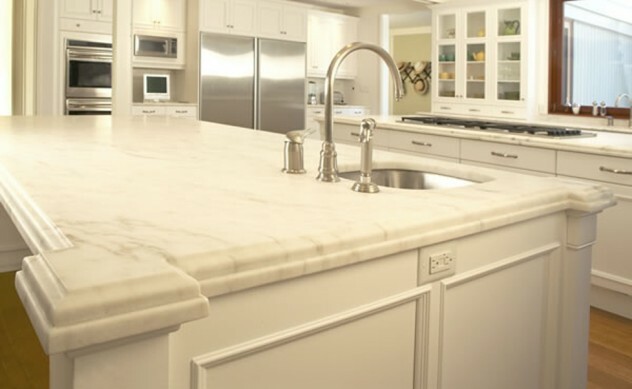 Danby marble is an excellent material for kitchens. It offers a warm, classic look unparalleled by other stones and color ranges. Danby marble is superior due to its’ low absorption rate. This is one of the most important factors when considering what material to use for your kitchen. Aesthetically Danby marble offers 8 different selections with each selection differing in veining color and consistency. With this unique combination you not only have multiple choices of Danby marble but can be assured that your countertop will remain beautiful for many years.